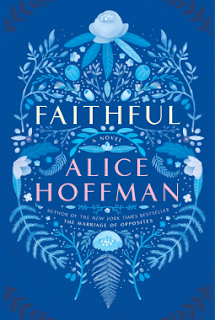 What They Say.....From the New York Times bestselling author of The Marriage of Opposites and The Dovekeepers comes a soul-searching story about a young woman struggling to redefine herself and the power of love, family, and fate. What I Say....Alice Hoffman. She is hands down one of my all time favorite authors. But I didn't love The Dovekeepers (my mom loved it) and The Museum of Extraordinary Things and I was really worried. I liked the books, but I didn't LOVE the books. So I skipped The Marriage of Opposites because I didn't want to find out that my love affair with all things Hoffman was over. I was absolutely mesmerized. I couldn't put it down and I finished it in under two days - and these were work days. Shelby is a typical teen until the night that changed her life. Now trying to live with the guilt of being the driver in a car accident that has left her best friend in a vegetative state, Shelby is living with a guilt too great to move forward. But Shelby finds out, as we all do, that no matter how sad you are, no matter how empty you are, life moves forward and you get pulled along. I think one of the things I love about Hoffman's characters is that there is never some giant epiphany where things suddenly get better. It's more about tiny seismic shifts from the everyday situations that we all face. It's the choices you make in facing them that define who you are. This story reminded me of another Hoffman favorite, The Third Angel. If you haven't read that one, put it on your list. Add Here on Earth. One of the trademarks of Hoffman's writing is that at the end, the story all comes together and you are left deeply satisfied, because you always care way too much about the characters in an Alice Hoffman novel.